Do You Know the History of Haughton? The town of Haughton, Louisiana is a little community on the outskirts of Bossier City. 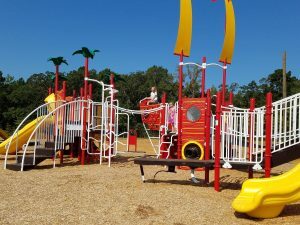 Located less than 20 minutes from Bossier City Hall, Haughton sits just south of the intersection of Interstate 20 and Highway 157. Some might even consider it a bedroom community where folks settle to get a taste of country living, but they don’t want to be too far from the everyday conveniences that nearby Bossier City has to offer. Mayor Jack Hicks came to Haughton in 1978 and liked it so much, he never left. The area gets it’s name from early resident William Haughton who migrated from Tennessee by way of Mississippi. William was a farmer and a teacher. 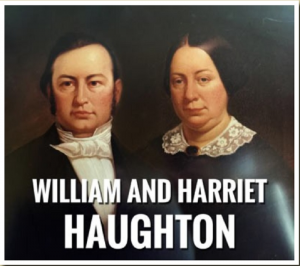 He and his wife Harriet and two children, settled on some 2,000 acres of prime land that became known as “Haughton Place.” William Haughton liked the area so much that he wrote his friends back in Mississippi. Soon others arrived and acquired thousands of acres of land. One family known as the Lawrences had a son Paul who was studying medicine before the Civil War broke out. He joined the Confederate Army and took part in military campaigns. Paul was wounded twice, once at the Battle of Chickamauga in Tennessee and another time at the Battle of New Hope Chapel in Georgia where he lost his right leg. However, he continued service in the Invalid Corps but was taken prisoner in Alabama and later released. After his military service, Paul Lawrence attended school at the University of New Orleans and upon graduating as a physician, returned home to marry William Haughton’s daughter Mary Jane in 1870. It was this union of the Haughton’s and Lawrence’s that joined together their large land holdings that was the eventual formation of the community of Haughton. In 1881, Mary Jane Haughton Lawrence, with approval of her husband, sold land to the new railroad enterprise that was coming to northwest Louisiana. At that time the town was known as Lawrenceville, but since the railroad already had a Lawrenceville on its route, the name was changed to Haughton in 1884. The railroad brought about growth to the newly named town. It had three new saloons and a box car was converted for use as the official railroad station. A year later in 1885, Mrs. Lawrence deeded eighty acres for use as a railroad station and declared all streets for public use forever. Not long after that, Mrs. Lawrence started subdividing and selling lots. And through the years, what was once owned by two families grew into a booming little community. Today, while Haughton is smaller than its larger neighbor to the west, it is still a growing community. 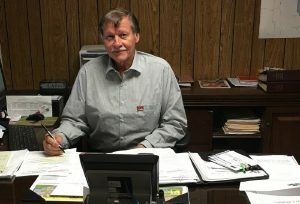 Mayor Hicks is optimistic that with the 2020 census approaching, Haughton’s town status is about to change. The population growth isn’t the only thing on the rise for Haughton. The town has some 200 acres that’s just waiting to be developed both for home sites and businesses. Haughton claims a notable number of athletes who grew up in the area including Myron Baker, Joe Delaney and Dak Prescott. While the town may seem like just another small community, Mayor Hicks says it serves as something of a regional hub. Haughton’s 71037 zip code stretches all the way north to the Bodcau State Wildlife Management Area. It goes through Red Chute, Eastwood, Princeton, Fillmore and further south to Sligo, Oakland and Koran communities. So what started as a union between two families has become a thriving community and soon-to-be a city. But if you ask Mayor Hicks, this is just the beginning. If you’re a history buff looking for more blogs to check out, you should browse our Bossier Pride and History blogs and learn more about our great parish! Previous Post:April Showers Bring A Bossier Calendar! I am so glad to read this article. My paternal grandfather, Robert Lee Stewart, born in Doyline, settled in Koran and practiced medicine. My father, Robert Webb Stewart, went to school in Haughton, where I also went. I would really like to learn more historical facts about Haughton that are available. I have found William and his sons grave in Fillmore cemetery but have no idea where Harriet is buried does anyone know. My great grandfather was Dr. Paul Lawrence and Mary Jane son Dr. Paul Andrew Lawrence. He and his wife Kate Murfreesboro Lawrence raised my mother.